With just a few days left until the release of Rogue One: A Star Wars Story it's hard to believe that we're still getting casting news about the film. We are very excited to report that just recently another actor confirmed their involvement with Rogue One. 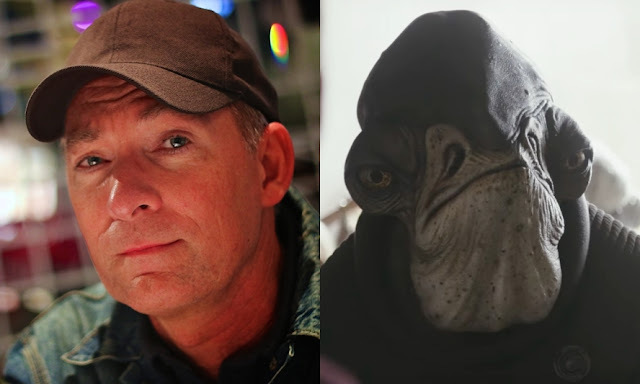 Stephen Stanton, who is well know to Star Wars fans as the voice of Wilhuff Tarkin, Mas Amedda, Moralo Eval, Meebur Gascon and many others in Star Wars: The Clone Wars and Star Wars Rebels, has revealed that he has a role in Rogue One. Stephen Stanton's contributions to the Star Wars saga so far have been incredible, and his kindness and generosity towards fans has made him a great ambassador for the entire community. He has been a great friend to us here at the SWU and we certainly want to send our congratulations to Stephen on this milestone role! You can see Admiral Raddus(and hear Stephen) in Rogue One: A Star Wars Story when it opens in theaters on December 16th.